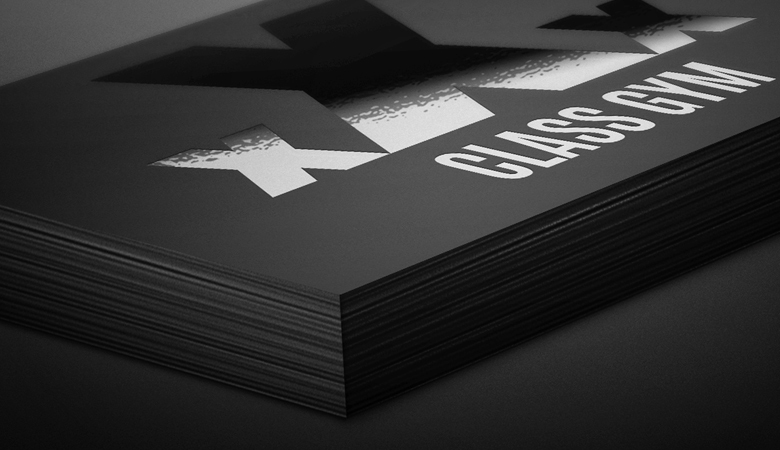 Spot UV is a cool technique that makes certain areas of a document high-shine and glossy, making any area you wish to stand out against a matt lamination or uncoated paper stock with additional texture. However, it does require a little extra work in the design stages to make sure your artwork is set up correctly to achieve the Spot UV that you desire. Spot UV is the final finish in the printing process. This means that all ink layers are laid down, any paper lamination is added, and the drying process completed first. The Spot UV is then printed on top of the paper, as a clear gloss, and then dried for the finished result. When it comes to Spot UV, the general rule of ‘less is more’ applies. This is because it’s a unique texture that brings depth to your document – but if you use too much, that can detract from the final product. The idea behind Spot UV is to draw attention to selected areas by creating contrast in texture – too much and this dramatic finish becomes so-so as it blends in with other elements. If you want full gloss on your document, there are other ways to achieve this, such as choosing a gloss lamination (instead of matt or velvet) during the order process. It’s also wise to remember not to put Spot UV anywhere near a fold! The high-gloss finish, if put on a fold, can crack or peel away, as it becomes fragile if it is cut. This is because the gloss relies on a regular surface tension – and the folding and creasing may weaken the finish, causing cracks. With Spot UV, you can make anything on your document stand out more than the rest. For business cards, this is usually the company logo, or the name of the company. Text is easily created with Spot UV finish, and can make a business card look really sleek and professional. You might want to draw attention to your social media icons, or your website address. You could even highlight a single image that demonstrates what your business does – it really is entirely up to you! You can use Spot UV finishing on a blank background – there’s no need to put colour behind it. The gloss finish is applied as a separate layer in the printing process, so if you want to add interest to a plain white (or other solid colour) background, you can add texture with dots or patterns of Spot UV. Here’s the technical bit you’ve been waiting for! Spot UV is easily created at the design stage of a project: it is much harder (or impossible, if the final document is a JPEG) to go back and add Spot UV directions later on. When in your design programme, create an extra layer and name it Spot UV. Next, pick or create a very bright colour (here at instantprint we use orange), and save it as Spot UV. Go to the first layer(s) of your document, and copy any elements that you want to have highlighted with a Spot UV finish. Next, paste these elements on your new Spot UV layer, in exactly the same position. For all elements added to the Spot UV layer, colour them with your saved Spot UV colour. Your final artwork will look pretty strange when you view all layers together! You can then submit your PDF document for proofing. It’s up to you whether you wish to send a separate document for your Spot UV layer and your original artwork layer, or as one single PDF. Your proof will come back with three pages: one showing the artwork layer, one showing only the Spot UV layer, and one with both layers overlaid so that you can check the Spot UV is correctly aligned with the original artwork. Keep to the 3mm rule: always have any Spot UV areas at least 3mm from any page edge or fold, to prevent cracking during the folding or cutting processes. The less Spot UV you use, the more it stands out! Remember that paper lamination types are limited to matt or no lamination, as the Spot UV requires a certain surface tension not provided by glossier laminations (otherwise the gloss can ‘sink’ into the surface, and nobody wants that!). When submitting a Spot UV design to us, we’ll send you a three page PDF proof, so make sure to check all three pages for alignment, colours, and spelling.